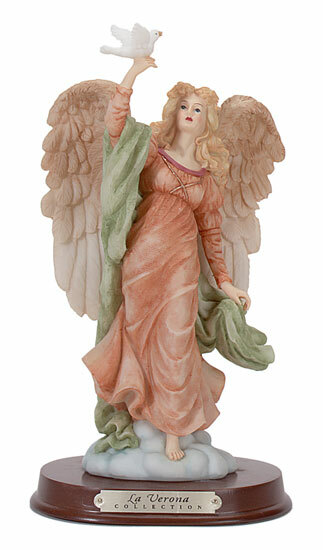 Welcome to our page of "Angel Figures". Please enjoy your visit and i hope you'll find here what you're looking for. Thank you for stopping by and come again soon. 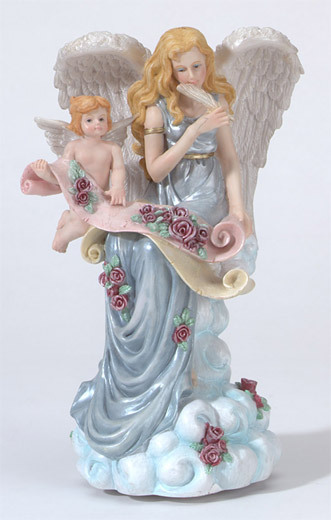 Finely sculpted doves and roses accompany this musical alabastrite angel, with golden accents throughout. Tune: Hark the herald angel sing. 6" x 4 1/2" x 11 3/8" high. 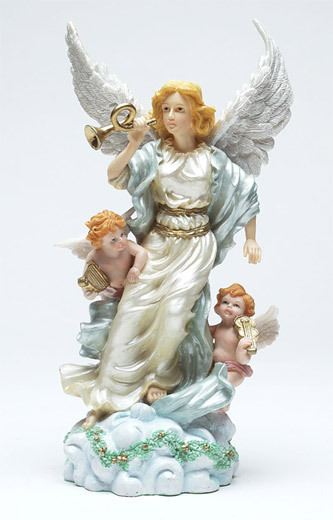 A glorious musical angelis accompanied by two cherubs with musical instrument. Alabastrite, tune: Hark the herald angel sings. 6" x 4 1/2" x 11 3/8" high. 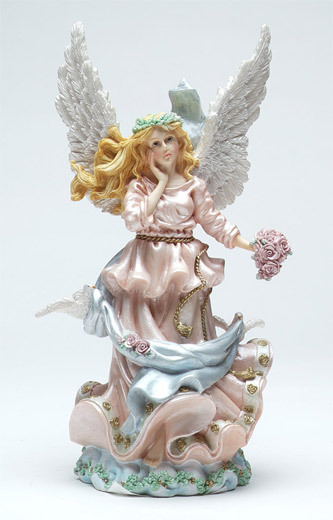 A winsome cherub helps an ethereal angel inscribe words so beautiful they fall like roses from her feather pen. 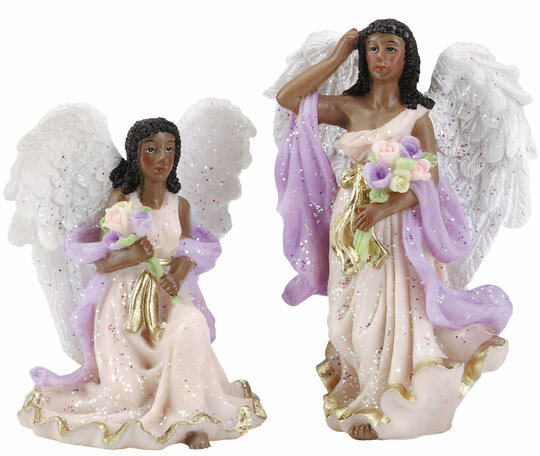 Their musical accompaniment's Hark the herald angel sing. Exclusive, 5 3/4" x 4 1/4" x 9" high. 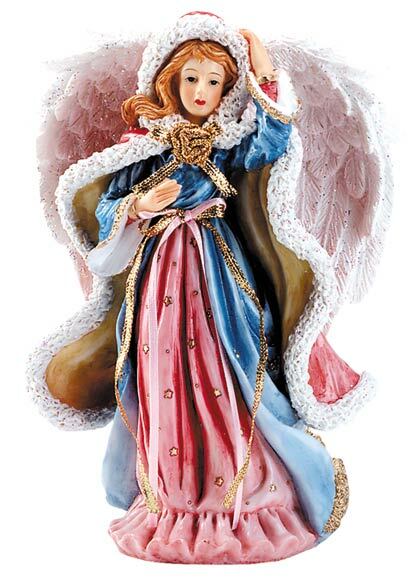 Who better than an angel to bring in the dove of peace, from the laverona collection. Exclusive, 5" x 4" x 9 1/4" high. 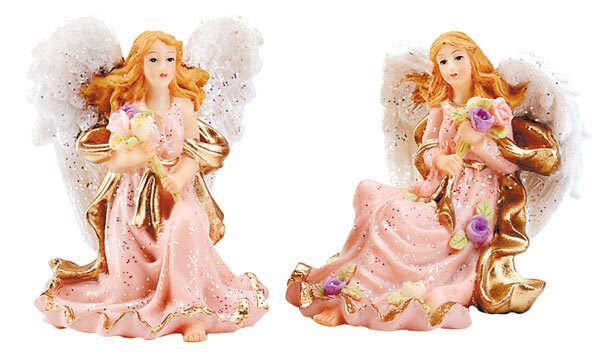 In shimmering gowns bedecked with gold accents, these devine figures posses the essence of angelic beauty. Tallest, 2 1/2" x 2 1/2" 3" high. 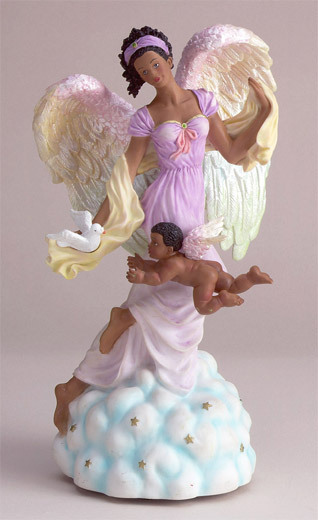 On her glittered perch of clouds, this musical angel and her white dove bring the message of peace. Tune: Angels we have heard on high. 4 1/8" diameter, 8 1/2" high. Exclusive. 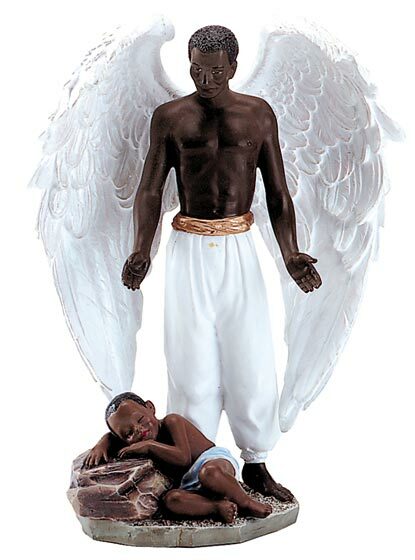 A playful cherub's antics with delight a stately angel. 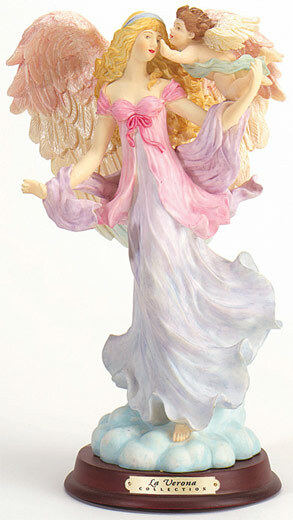 Her flowing garments are tinted in soft pastels, an angel and cherub wings both are pearlized. From the laverona collection. 7" X 4 3/4" X 10" high. 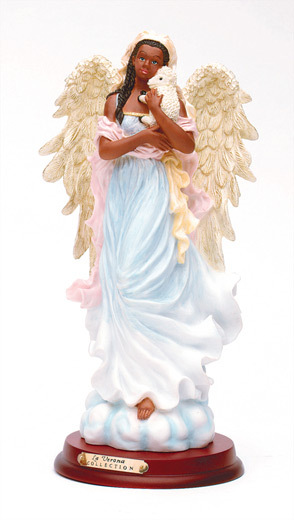 Tenderness and beauty radiate from this laverona collection angel. 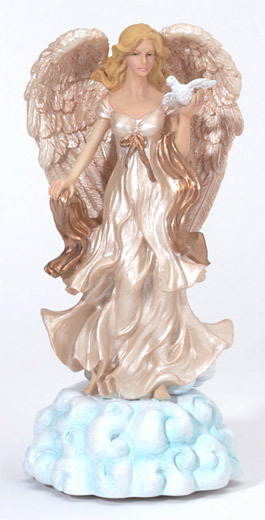 Her intricately sculpted wings are brushed with gold, alabastrite. 5 3/8" x 4 7/8" x 10 5/8" high.